Nothing good comes of trying to pack up gear right before you walk out the door to head somewhere for a ride. Usually, I’ll forget one thing or another, whether it’s a pair of socks, gloves, or worse, a helmet. Packing the night before is always my routine of choice. There’s less stress and anxiety about beating traffic. 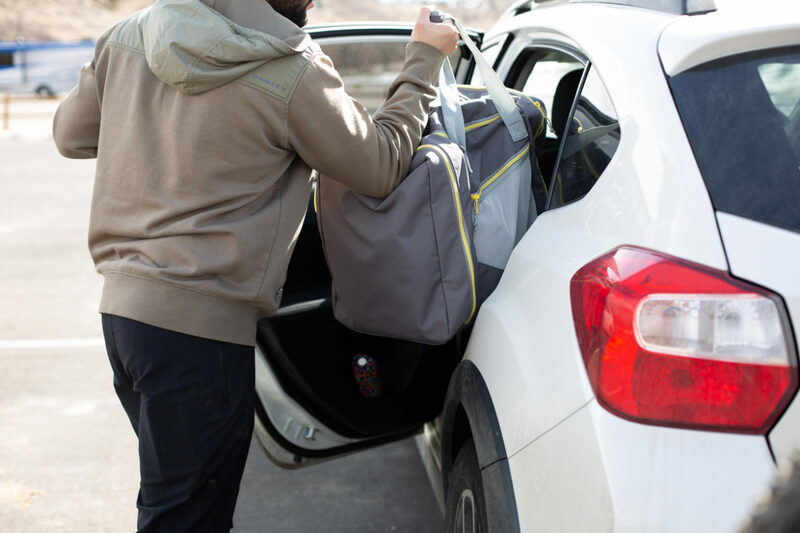 If everything makes it into one handy bag that can be set by the door, even better. 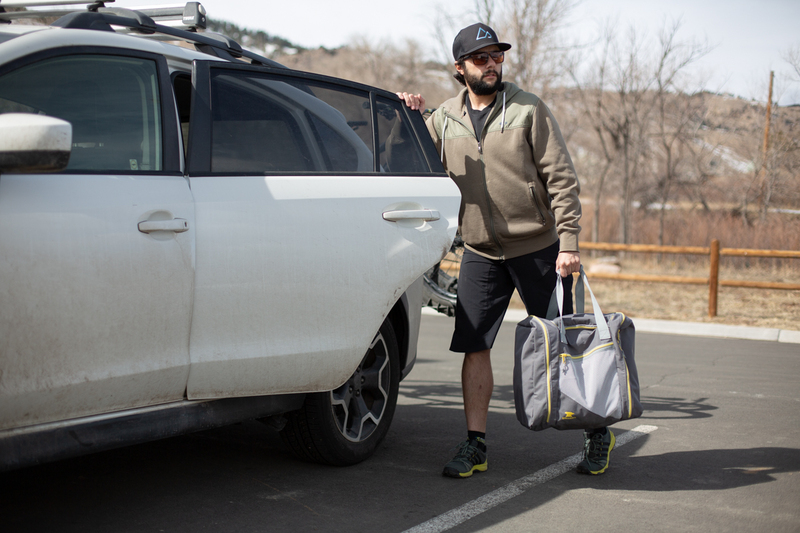 Mountainsmith, a gear manufacturer out of Golden, Colorado, has made a bike-specific duffel bag called the Cycle Cube, for years now. It is vented, organized, and made for all of our awkward-shaped gear like helmets, tools, and water bottles. The Cycle Cube has an impressive amount of space in it. 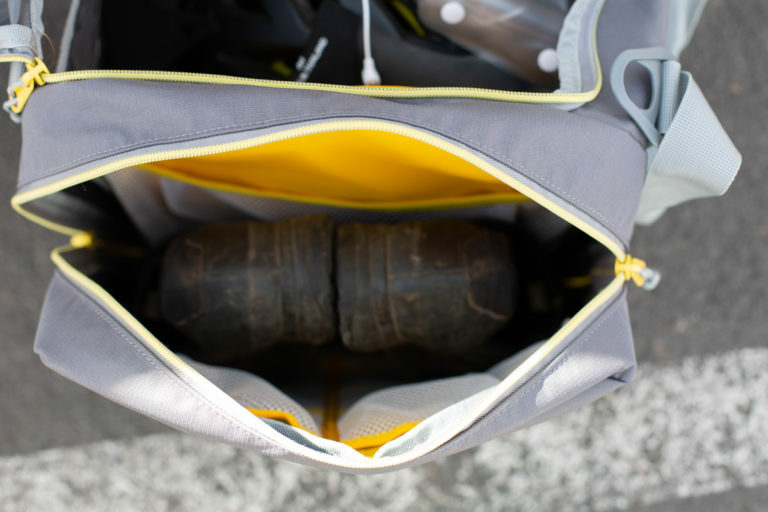 There is room for a pair of shoes on both ends, tools, snacks, gear, or whatever you can imagine putting in its many little internal side pouches, and enough room to pack a few kits, and a helmet. Don’t forget the important stuff. 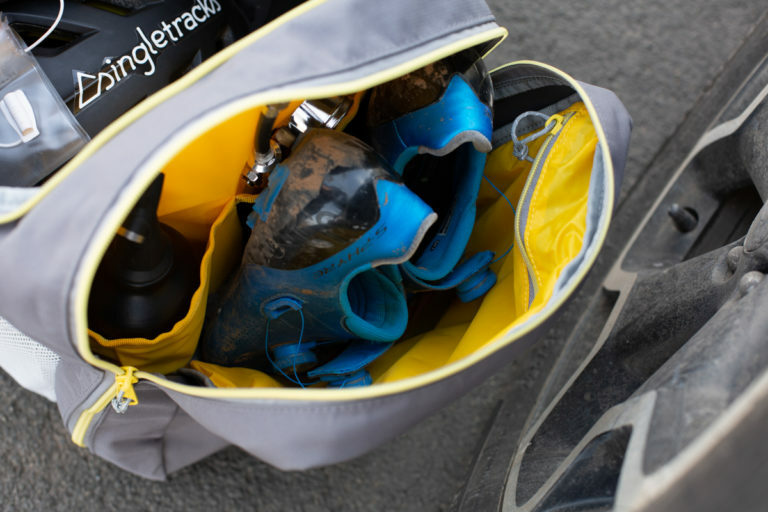 Shoes, a MilkIt booster, and a shock pump in one end with room for more. Photo by Hannah Morvay. Set up depends on… well, however you like to organize gear. There’s one internal divider with velcro on the main pouch inside that can be moved to either side to slip a pair of shoes in, or maybe to stuff your used chamois in. A removable divider on the inside left. 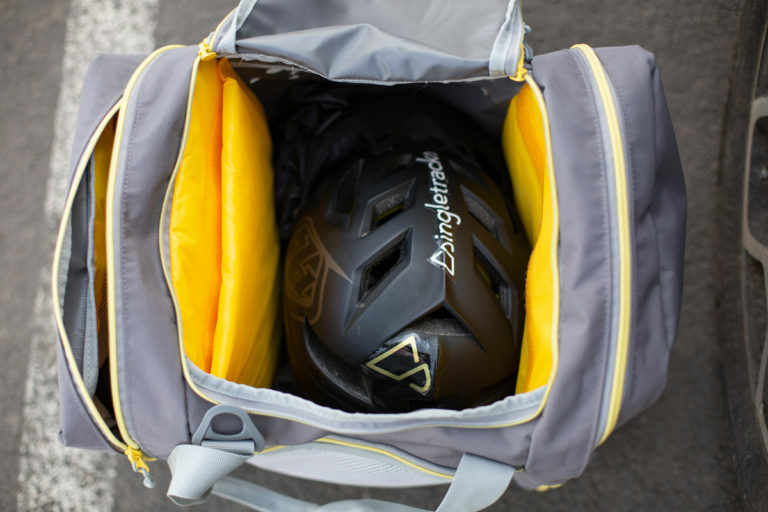 A helmet and some other gear in the main pouch with room for more. Photo by Hannah Morvay. Greg Heil last reviewed a Cycle Cube for us about a year-and-a-half ago. He wasn’t impressed with the lack of organizational pockets and pouches in the previous version. 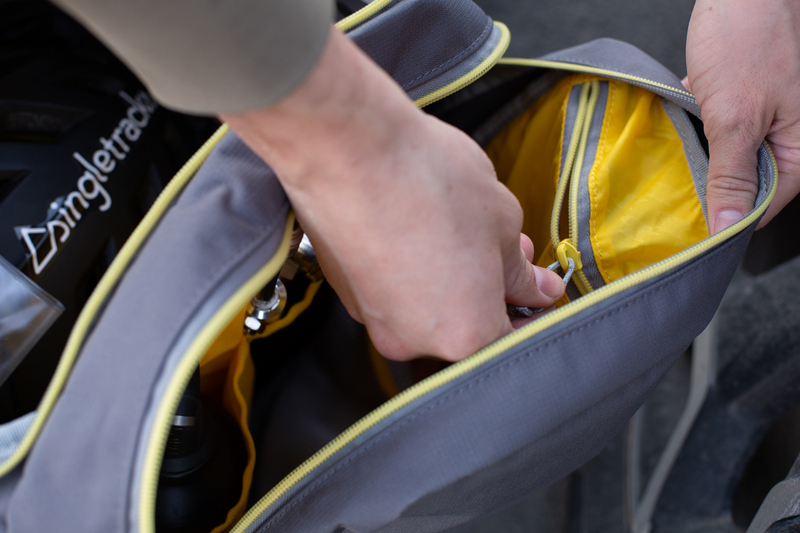 This new generation of Cycle Cube seems to be an improvement and it would be hard not to stay organized with the number of pockets on this bag. Another zippered pouch on the inside of one end. Photo by Hannah Morvay. 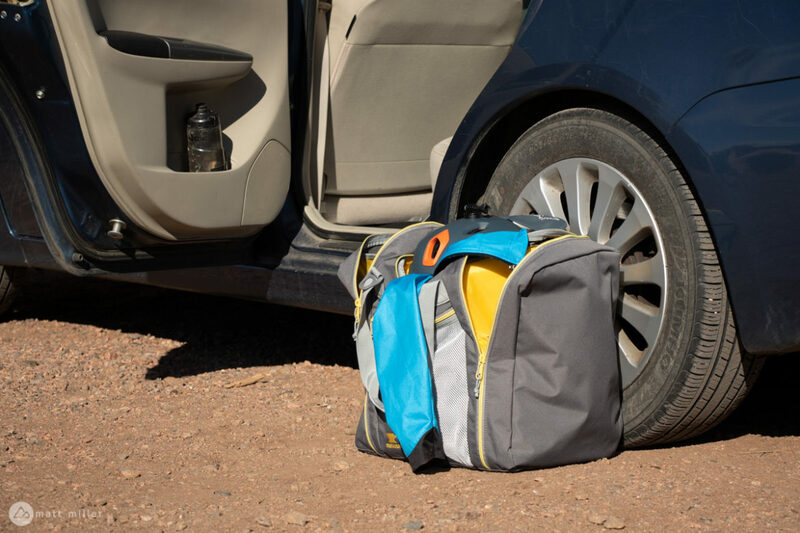 All in all, the Cycle Cube is a pretty nifty little travel bag, perfect for a great weekend bike trip. Room for more shoes on the other side, and lots of pouches. Photo by Hannah Morvay. As far as the functionality of the bag is concerned, it’s pretty great. 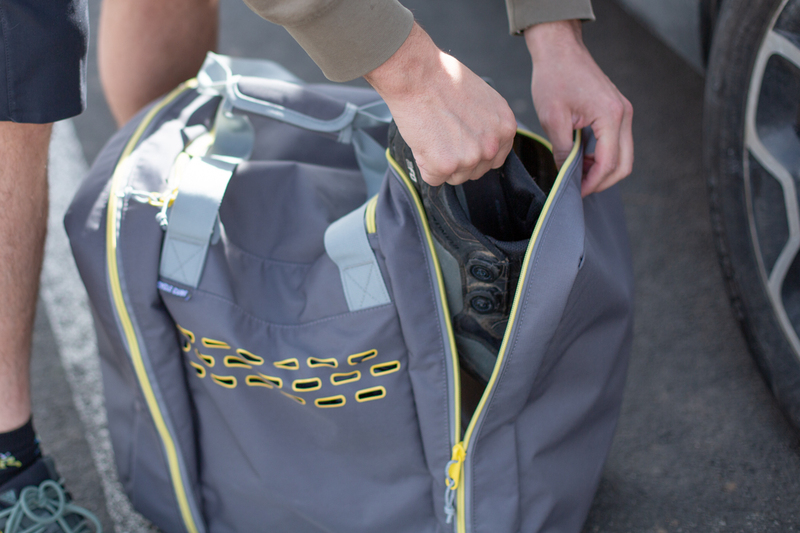 You can fit a lot of awkward bike gear like tools, a helmet, shoes, snacks, and more inside. I do wish the colorway was a little more exciting though, or there was another option. Mountainsmith has some great colorway options on other gear, like its hiking lumbar packs, and I think it would be cool if another option made its way to the Cube. Also, it’s great that the Cycle Cube comes with D-rings for a diagonal shoulder strap, but it’s annoying that buyers will have to seek the strap out separately for an additional $15. The Cycle Cube in action. Photo by Hannah Morvay. 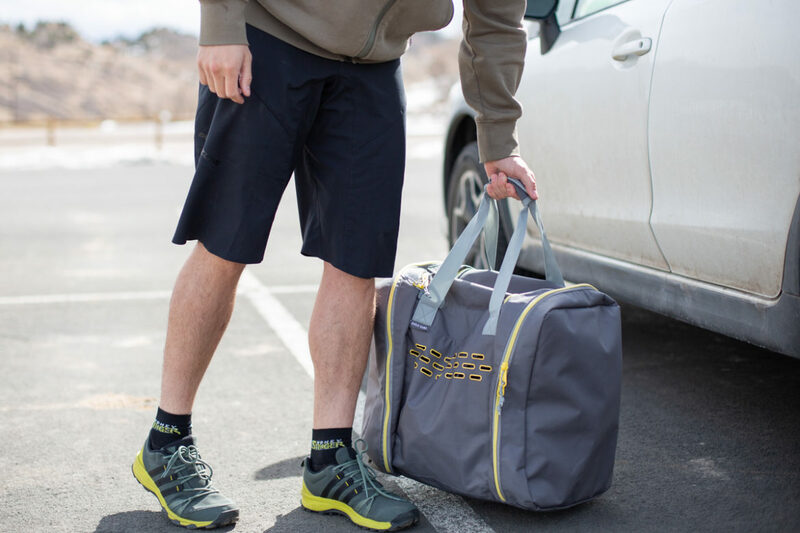 A lot of us will happily stuff all of our gear into a duffel bag we already own, but for those who want the utmost organization or something that really works for bike travel that they can leave gear in for the next trip, the Cycle Cube will work great. Is There a New Syndicate Rider?